We can trust God to take care of us because He is our Heavenly Father and loves us. Two sons respected Noah and helped him. One son didn’t respect his father. 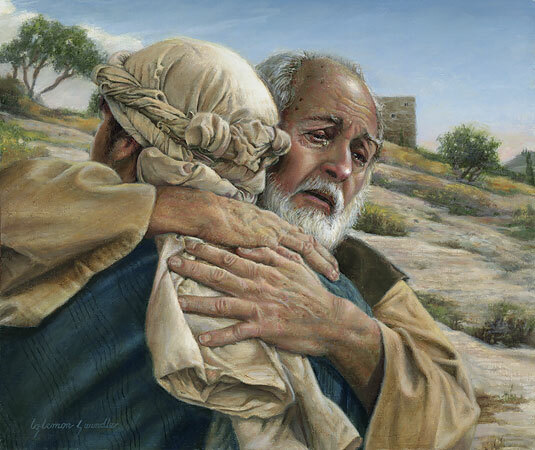 Even though Jesus wanted to stay at the temple, he obeyed Joseph, his earthly father, and returned home. One son agreed to do what his father asked but didn’t do it. The other son said he wouldn’t do what his father asked, but thought better of it and did it. Who is the better son? No matter how much we’ve messed up, our dads still love us. Even if that’s not true of your earthly dad, it’s true of your Heavenly Dad. This entry was posted in Father's Day, Holidays. Bookmark the permalink.